After a long day of emotional drama and tumult at home, workplace, grocery store, road traffic and what not, our heads turn to that slim looking chic figure who with just a click, relaxes all our nerves and muscles with its entertainment therapy. This chic box is none other than the 'Television Box' that has occupied a permanent place in your house and your heart. With the vibrant colours on its screen and its refreshment funda, it adds colours to your dull, drab and chaotic life. When one talks of television, one is reminded of Sony television that with its technology, innovation and service has secured a significant place in Indian homes. With high-definition LED TV, Sony TV has revolutionized our television watching experience. Undoubtedly, LED TVs are the first choice for environmentalists and who those who wish to cut down on their electricity bill as LED TVs at low power consumption delivers high audio-visual quality. So, if you have missed watching your favourite's star recent super-duper hit on a wide screen at cinema hall, then do not regret anymore, because Sony TV will serve as a home theatre giving you the action packed theatre like experience. On Infibeam, we have an array of Sony TV online that takes your entertainment to another level with its incredible technology. Sony KDL-50W900B 3D Smart Full HD TV is equipped with Triluminos Display feature that offers a wider spectrum of colours than a conventional TV. This Sony TV will bring your television images come to life and give you an incredible experience of watching a cricket match on the stadium. Plus, this model comes with three layered protection namely Lightening, Surge and Humidity that protects your TV during thunderbolts, unstable electricity and high moisture and humidity conditions. 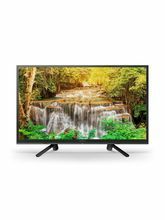 Also, one can check out Sony KDL-48W700C Internet Full HD LED TV that offers entertainment on its slim screen in Full HD with 1080p resolution. This Sony TV is packed with other user-friendly features like Social Viewing, Photo Share, LIVE Football Mode, Screen Mirroring Wi-Fi. On Infibeam, you will also find the latest 3D Sony television models at good prices. Sony KD-65X9000B 3D 4K Ultra HD TV is one such TV with 65 inch screen size, TRILUMINOS display and magnetic fluid speakers giving you the best viewing experience. Browse through the categories of Sony LCD TV and Sony LED TV on Infibeam and avail the benefit of good deals and discounts!